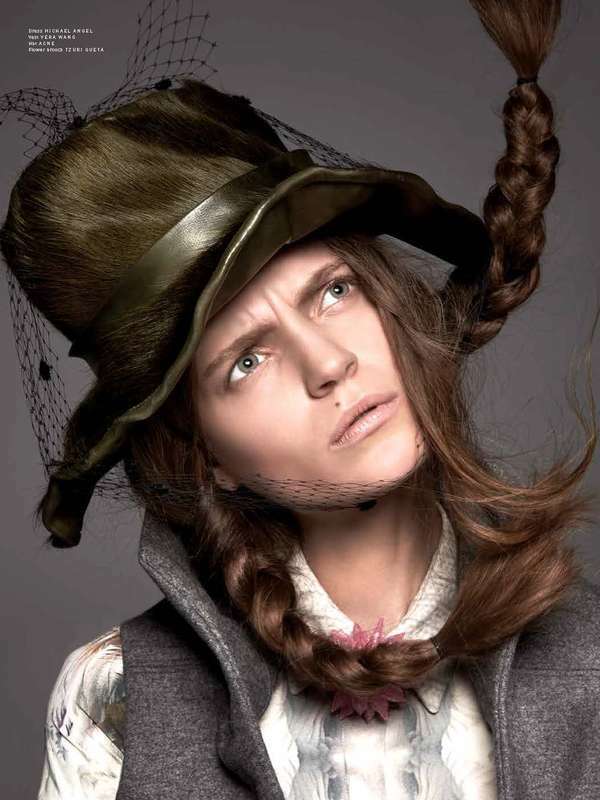 Mad as a hatter, model Magdalena Langrova stars in the Pulp Magazine No. 6 editorial. Channeling her inner kookiness, she does author Lewis Carroll proud as she playfully poses in various quirky millinery pieces. Whether confused, surprised, excited or mischievous, the brunette beauty exhibits a ton of emotion to really capture the crazy character she was clearly inspired by. The Pulp Magazine No. 6 editorial was shot by Ishi, a fashion photographer based in Paris, France. Playing up the whimsical element in the photoshoot, fashion editor Juliana Schiavinatto put together an eclectic wardrobe featuring the designs of such labels as Burberry, Pringle of Scotland, Vera Wang, Acne and Michael Kors. 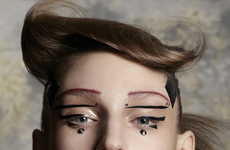 Hair stylist Jean-Luc Amarin and makeup artist Tatsu Yamanaka also fell down the magical rabbit hole.